What made Howie Long one of the best players of his generation? Pete Koch fills us in, and brings us into the workout room with Raiders Greg Townsend and Bill Pickel on The Game Before the Money Podcast. The Bengals drafted Koch in the first round of the 1984 NFL draft. They drafted Pete’s college teammate Boomer Esiason in the second round. Pete later played for the Kansas City Chiefs and Los Angeles Raiders. He joins us on the podcast, and discusses what it was like to be a first-round draft choice. He also talks about the mid-80s glory years in the AFC West, facing quarterbacks such as John Elway and Dan Fouts. He shares great memories of playing on a Chiefs line that featured outstanding players such as Art Still, Bill Maas, and Mike Bell. Outside of football, Pete starred in many movies and TV shows, including Heartbreak Ridge with Clint Eastwood. He also works as a fitness trainer. 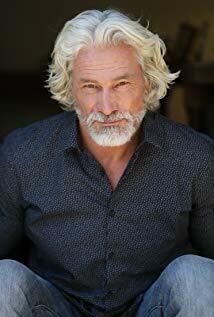 You can connect with him on his website and also learn more about his acting on his IMDB page.